Starburst Presto on AWS combines the reliable, scalable, and cost-effective cloud computing services provided by Amazon Web Services (AWS) with the power of Presto, the fastest growing distributed SQL query engine within the industry. Through the use of Starburst’s CloudFormation template and Starburst Presto AMI, Starburst Presto on AWS enables you to run analytic SQL queries across a wide variety of data sources with elastic scaling and usage-based pricing. For extra security features like Role-Based Access Control (via Ranger or Sentry), HA for the coordinator node, ODBC/JDBC drivers, and 24×7 support, upgrade to our Enterprise plan by contacting us at aws@starburstdata.com. With Starburst Presto on AWS, you can realize the value of cloud computing alongside the SQL-on-Anything Presto query engine. 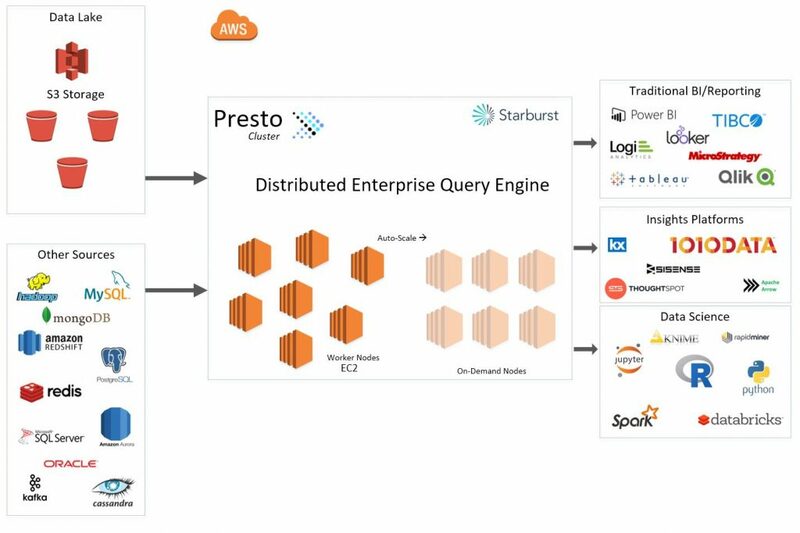 Starburst Presto on AWS facilitates the provisioning of Presto clusters on AWS. Simply spin up a cluster of Starburst Presto AMI instances and begin leveraging their flexible compute capabilities against any data source of any size. Starburst Presto on AWS is built to deliver faster query processing and greater cost efficiency. 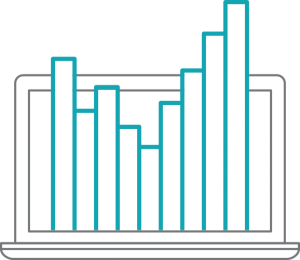 Cost-based query optimization and other enhancements make Starburst Presto the fastest way to handle big data workloads. In recent tests, Starburst Presto ran 18x faster than Presto on EMR, at 1/7th the cost. Separation of storage and compute enables Starburst Presto to scale easily and inexpensively to analyze petabytes of data. 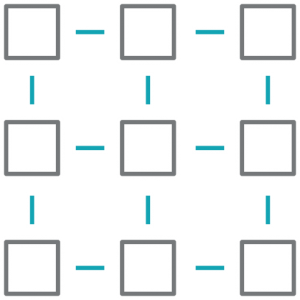 You can scale compute resources elastically on demand to handle more users or more data. Starburst Presto on AWS leverages Amazon Auto Scaling — a resource that monitors your workload and automatically scales your Presto cluster up or down to meet its desired capacity. Starburst Presto on AWS enables you to maintain steady, predictable performance at the lowest possible cost to your organization. Starburst Presto on AWS integrates the open source business intelligence tool, Apache Superset. The BI web application specializes in the exploration and visualization of data, allowing you to run ad-hoc queries, design visualizations, and add them to dashboards for further exploration and sharing. Or you can run your favorite SQL tool or service with Starburst Presto and use them together to discover actionable insights for your enterprise. Start up a cluster of Starburst Presto AMI instances and use Presto SQL to query any data source, of any size.